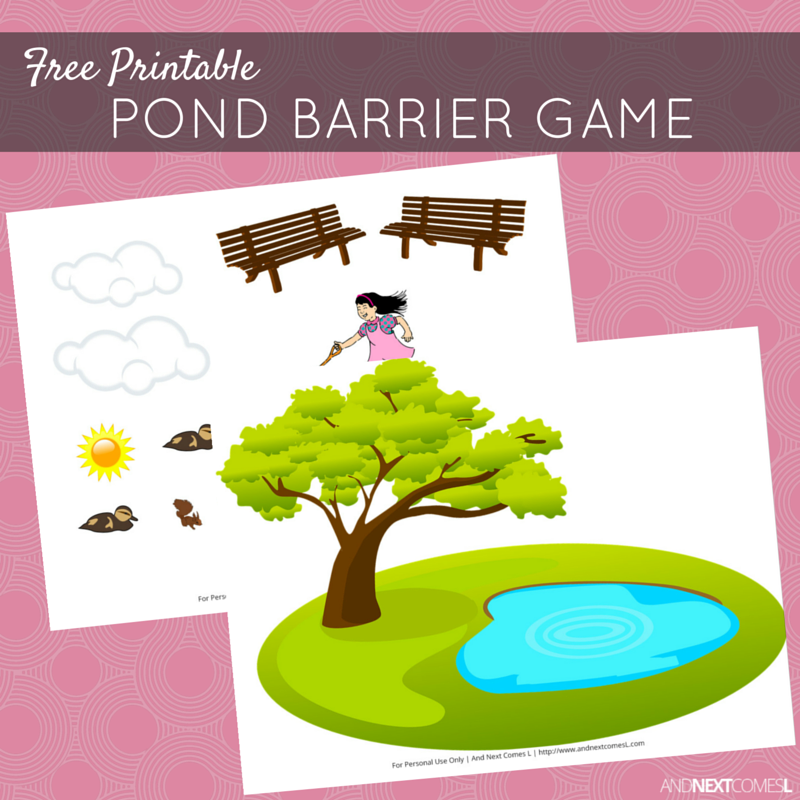 This pond themed free printable barrier game is a perfect way to work on speech and language goals. 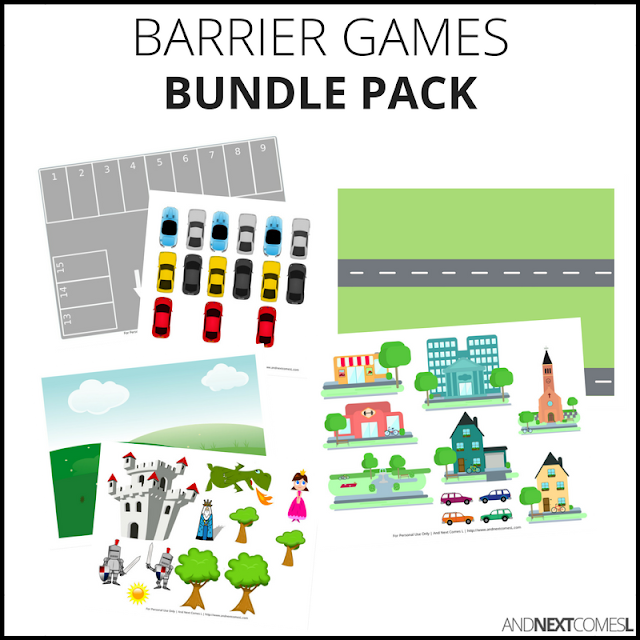 Here's another free printable speech therapy barrier game for kids. This one is pond themed and just like the other barrier games available on the blog, it's great for exploring speech and social skills. It's perfect for kids with autism and hyperlexia to work on following directions, listening skills, prepositions, and more, as I point out below.